WOF 2018: Another Successful Record! WOF 2018 featured a better, fresher, trendier look than ever. 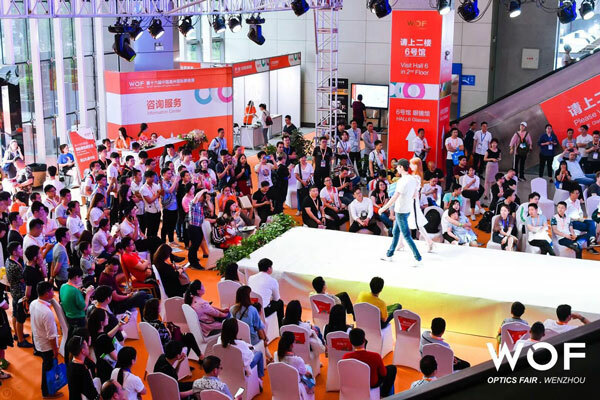 As a major optical trade fair in Asia, WOF once again delivered top performance on May 5-7, 2018. 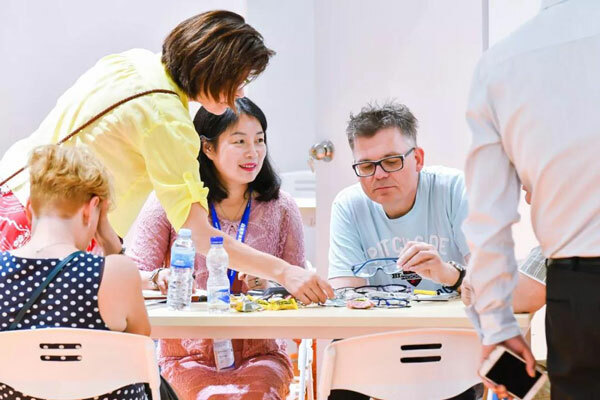 With 5 exhibition halls covering 35, 000 square meters, more than 500 exhibitors and 16, 356 professional visitors from over 70 countries and regions traveled to Wenzhou to participate in this exciting show. Significant growth in the number of exhibitors, visitors, the amount of booked space and the overwhelming majority of survey respondents reported wanting to partake in the WOF 2019 all bear witness to the great success of this year’s event. 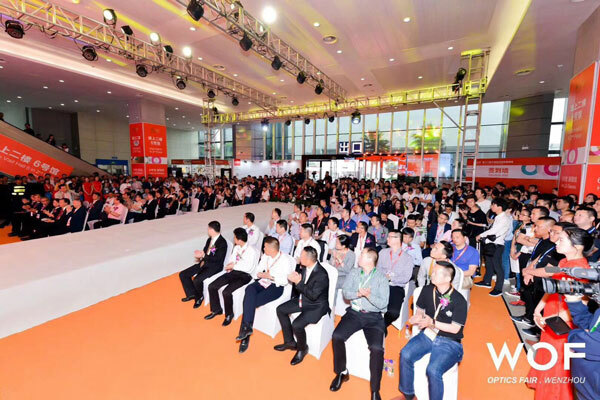 “WOF has become the must-attend event and a strategic platform for importers, buyers from the worldwide trade”, said Mr. Lin, President of Wenzhou Optical Association. The show’s 16, 356 visitors and 500 exhibitors represented 10.01% and 10.7% increases respectively over the previous edition. 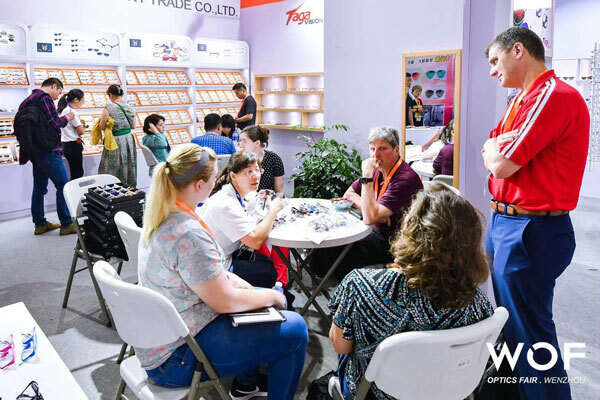 Exhibitors from Korea, Hong Kong (China), Taiwan (China), Shenzhen, Xiamen, Zhenjiang, Xingtai, Yingtan, Taizhou and Wenzhou gathered to present their products and innovations. WOF 2018 presents quality products and high competitive technology in optics industry, such as sunglasses, reading glasses, lens, glasses frames, glasses cases & accessories, lenses manufacturing & processing machinery, raw materials for glasses, view tester, instruments for optometry & ophthalmology, optical electroplating equipments & corresponding materials, glasses retail stores, glasses store fittings & furniture, chain glasses enterprises, etc. 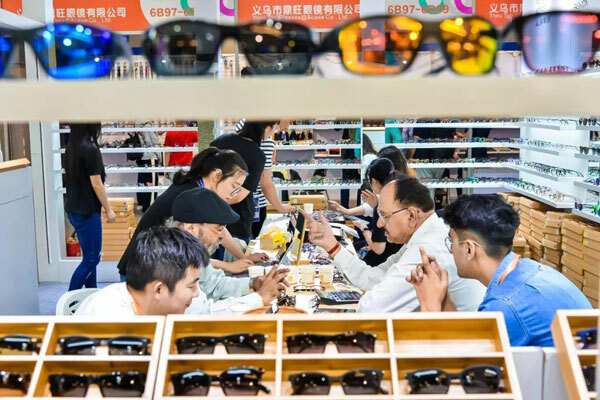 More than 51% of the display products are glasses frames/sunglasses, around 19.6% are optical equipment, with 11.7% packaging, 10% materials/accessories and 7.5% lens. WOF offers a good platform to meet leading organizations to share their views and development of business and industry. The comprehensive programme of lectures and a wealth of information on the optical hottest topics were enthusiastically received at WOF.